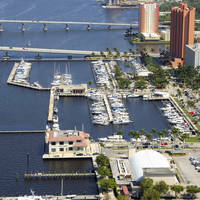 The image above is a view from the west looking east over the Canaveral Barge Canal where it meets the Indian River. To the right, the Bennett Causeway is visible, carrying traffic east and west from the Cape Canaveral area. A little farther on, the Christa McAuliffe Bascule Bridge (21-foot closed vertical clearance) can be seen crossing the canal. 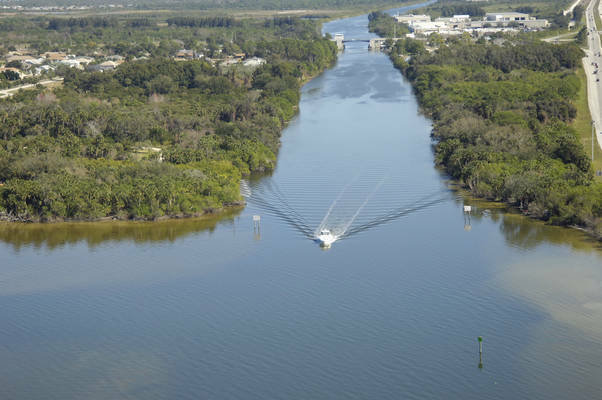 The western end of the Canaveral Barge Canal empties into the Indian River near Intracoastal Waterway around ICW Mile 864 near the Bennett Causeway and east of the city of Cocoa. 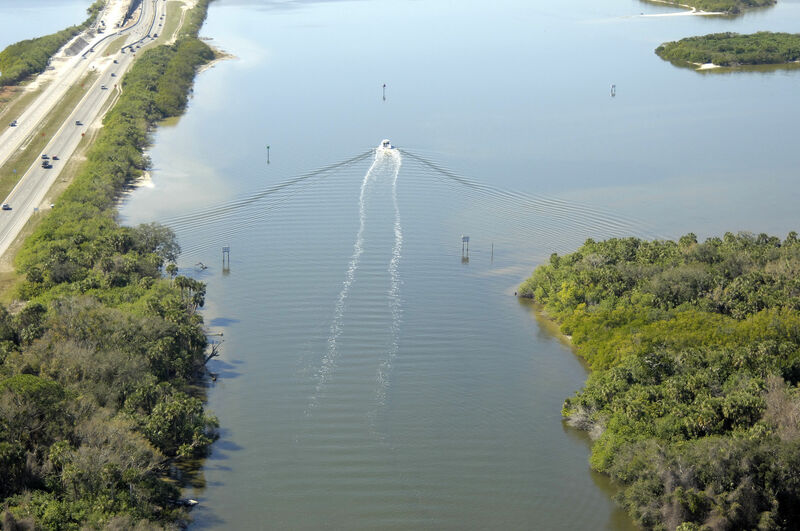 The west end of the Canaveral Barge Canal is approached via a channel just north of the Bennett Causeway (Cocoa) Bridge. 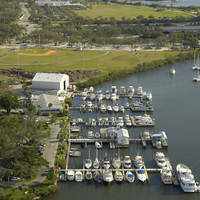 From the Intracoastal Waterway, pick up green daybeacon 13, which marks the start to the entrance channel toward the Canaveral Barge Canal, and then head east to follow in green daybeacon 11, flashing red 12, flashing red 10, and green daybeacon 9 (visible in the image above) into the canal itself. Depths in the canal average around 11 feet, and there is little in the way of navigational challenges to get in your way. 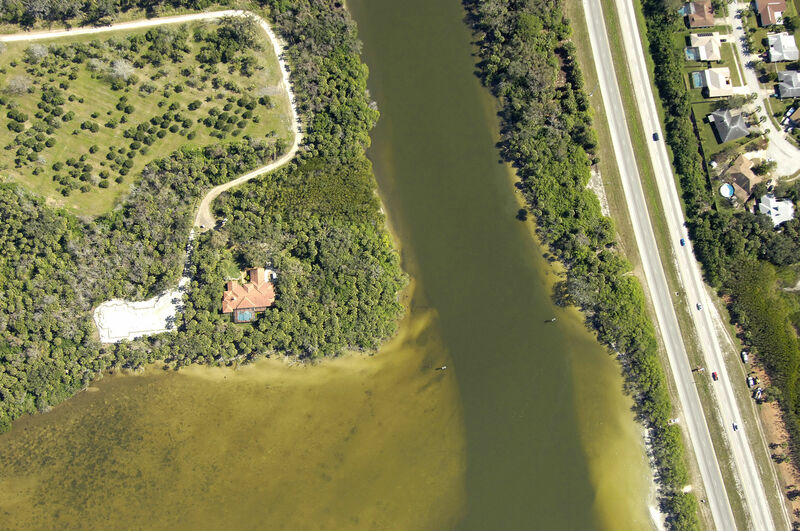 Once you have cleared the canal on the other side into the Banana River, be sure to mind the NASA security area that is located just north of the channel that runs across the Banana River to Port Canaveral. No reviews yet! 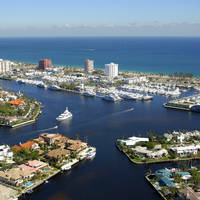 Be the first to write a review of Canaveral Barge Canal West Inlet.